It’s 2017, and video is still dominating the marketing scene with no signs of going anywhere. If video marketing is not very prominent in your strategy, then here are a few warning signs you need to watch. If any of the points in this article apply to your business, you need to invest in video! Likes on social media are good, website visits are better, but conversion rates are the elusive pot of gold we all dream about. 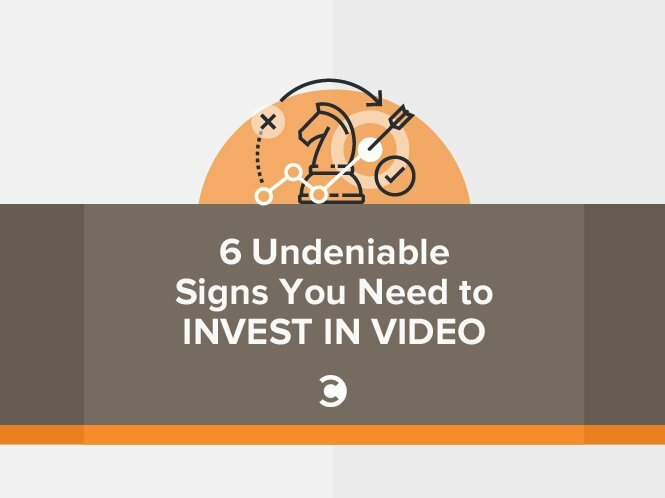 If your conversion rate is dipping, then you need to invest in video. There are a couple of different ways videos can increase your conversion rate. For example, if you sell products online, then you can improve your conversion rate by including videos on your product pages. According to research done by online retailer StacksandStacks.com, visitors who see a product video are 144 percent more likely to make a purchase. Product videos perform much better than product images because they allow the user to get a good look at your products from all angles. 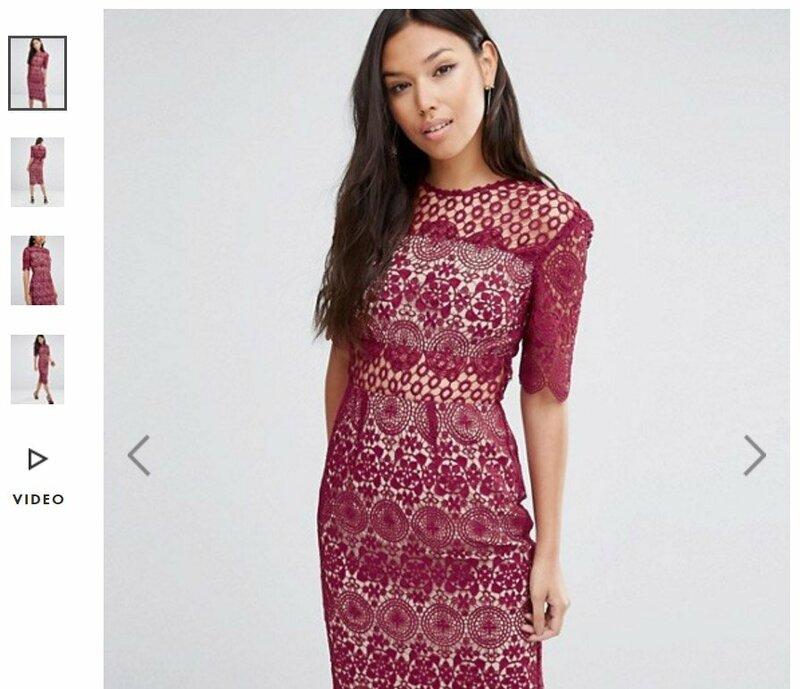 Click the image below to watch an example from clothing retailer, Asos. If your products aren’t as simple as “grab and go,” you could further increase conversion rates by making how-to videos on your product pages, like this one by Advance Auto-Parts. Now that buyers can compare the prices of tons of different brands just by reaching for their smartphone, they have turned into fickle creatures. You need to go the extra mile to increase loyalty, and when you do, the results will be plentiful. A recent study discovered that the probability of selling to an existing customer is 60 to 70 percent, much higher than the probability of selling to a new prospect (five to 20 percent). How exactly can investing in video increase your brand loyalty? Isn’t it obvious? People love video! They love watching videos that educate, entertain, and even tug at the heartstrings a little bit. To increase brand loyalty, create engaging videos that add something positive to your customers’ lives, for free. No sales talk is allowed when you’re looking to increase brand loyalty. Even if you don’t make sandwich cookies for a living, you can definitely still apply this approach to your own brand to increase loyalty. If you’re not on the first page of Google search results for at least two or three of your chosen keywords, then you haven’t invested heavily enough in SEO. There’s a reason people joke that page two of Google is the best place to hide a dead body—nobody goes there! The main job of a search engine is to present users with content that they want to see. Videos are great for improving SEO because, as I said before, people love them! According to a recent survey, 79 percent of consumers would rather watch a video to learn about a product than read text on a page. The most important thing you can do to improve SEO with video is make sure your video is hosted on your site. If you host your video on websites like Vimeo and YouTube, then they will be the ones getting the traffic, not you. Instead, embed your video directly to your website with a video hosting service like Wistia. The only negative point here is that search engines can’t index video as easily as they can with text, but there are a few things you can do to help them out. First, you should make sure that your keywords are included in the metadata (the video title, description, etc.). Then, you should create an XML video sitemap and submit it to Google. To create a video sitemap, click here and follow the simple instructions. (Note: you will need a Google Search Console account to create a video sitemap.) Sitemaps allow Google to crawl your page and index your video so that it can appear in the universal search results. Videos aren’t just a customer-facing tool. They can also be very effective when it comes to onboarding, training, and motivating staff. If onboarding is a challenge for your business, then you need to invest in video. Videos can change an employees’ first day from boring and awkward to exciting and inspiring. There are a couple of imaginative ways you can onboard employees with video. Aside from the obvious training videos, why not ask your departing employee to create a “handover” video for the new candidate? This can be a simple straight-to-camera video with lots of advice from the previous candidate and tips they have accumulated over the years. More generally, you could create a “company culture” video that lets new employees know about key company policies and also covers interesting aspects of the company culture. A video like this could double-up as an effective recruitment tool. Here’s an example from Dropbox. This video is great because it takes the real views of Dropbox employees and presents them in a fun, unique format. If your product is complicated, has a lot of layers to it, or simply requires a little explanation in order for people to get the best from it, then video is an engaging way to help users fully understand your product. If your product is a physical item, then the best way to increase user understanding is to create a how-to video, like the Advance Auto-Parts video above, that takes users on a step-by-step journey to getting the most out of your product. If you’re selling software, like an app or a website subscription, then a demo video that presents users with a real-time walk-through is the best way to improve user understanding. Here is an example from SAAS company, Mavenlink. This video works because it isn’t afraid to take its time in showing users all of the important features of the site. Videos that help users to understand your product can improve customer satisfaction rates and decrease support queries, saving your team time and money. Video is taking over social media. Facebook alone now sees eight billion average daily video views from their 500 million users. These kinds of videos help increase social interaction because they stand out to users scrolling through their newsfeed. A simple text post doesn’t really encourage much more interaction than a like here and a retweet there, but with video, you are offering an engaging piece of content to someone that they can watch, enjoy, and share with their friends. That video may also lead viewers to other videos you have made. When surveyed, 34 percent of social media users said they would be more likely to share a video ad than a static ad. And don’t forget: When creating videos to increase your presence on social media, refer back to point two. You want your videos to be fun and increase a sense of loyalty among your followers. We know that most brands have at least dabbled in video by now, but simply dabbling isn’t going to cut it in 2017. Video is getting bigger and bigger and bigger, and if you want to keep up, then you need to invest in video. Samantha is a copywriter for video marketing company, Wyzowl. Wyzowl specialises in creating exceptional, hand-crafted animated explainer videos to help businesses better explain their product, service or vision.